In itself gambling online is a solitary experience. Usually there is no one around to stop you the moment you start losing copious amounts of cash. Any reputable online casino allows its players to set their own betting/session limits and to self-exclude themselves if they wagered more than they intended to. Unfortunately most of them only give lip service to these requirements and couldn’t care less even if a you lose everything. Secondly and tied in with the above. Casinos accept credit cards as their main payment method. They offer players the chance to wire money to them using debit cards, bank transfers and other payment options. The latest research indicates that most players use credit cards to fund their accounts. This means that they are borrowing money from the bank to fund their gaming habits. In some cases players don’t always have the cash to repay the debt they incurred. To compound matters further, interest rates on credit cards are also very high. Never borrow money to gamble. If you must, try and avoid credit cards as far as possible since the majority of them offer you the worst possible deal. Internet gambling sites operate at break-neck pace in comparison to land-based casinos. Every game is played fast, even if players wager small amounts the sheer volume of bets placed ensures that the casino gets its predicted percentage edge against the player. For example: Let’s assume you wager a $100 in $1 or $2 amounts, you will soon be betting this cash over and over again, losing on average 2 to 3 percent every time. In essence this is why casinos attempt to hold 20 to 30 percent on average against you whenever you play. Let us have a look at Roulette. Normally there’s only one player at the table, the spin is fast and the payouts/losses can be instantaneous. Lately players can now play live casino games against the dealers. Games like Baccarat or Blackjack are streamed to your computer via webcam. These have the dual advantages of greater integrity and are slower. Interactive gaming not only increases your chance at winning something but you can chat to the dealers and fellow players too. If you wager online, make sure that you are familiar with the game you’re playing and its odds. More often than not players think they can outsmart the casino, unfortunately this is not the case since the house ”always wins”. Now that you’ve found a casino to play at you get this nagging feeling that something about is not 100% kosher. As the old saying goes: ”When in doubt leave out!” How does one really know when a casino is reputable? The answer to this question is pretty straightforward. Before you sign up there are certain criteria it must adhere to. In this section we are going to provide you with the various criteria and a brief explanation of each. Gambling jurisdictions: Before we do the review of an online casino we always do a quick search first to ascertain in which jurisdiction it is licensed. The majority of the casinos listed on our website are licensed in the following jurisdictions: Alderney, Curacao, Malta, United Kingdom, Kahnawake and Costa Rica.The United Kingdom, Gibraltar and Alderney are known as white-listed gambling jurisdictions. In other words operators licensed and regulated here operate under the guidelines of The British Gambling Commission and European Commission (EC). The RNG (Random Number Generator) of their softwares are tested regularly and they must have enough funds to pay their players in the event of a big win. 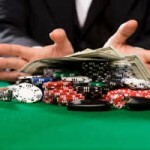 One of the main advantages of a reputable gambling jurisdiction is that it acts as an arbitrator between the online casino and the player in the event of a payout dispute. Certification: This is one of the key aspects that separates reputable sites from dodgy outfits. What does certification mean? Every reputable casinos’ software is certified either by eCOGRA, Technical Systems Testing (TST) or Affiliate Guard Dog. Although the latter is more geared to look after the interest of affiliates it also serves as a yardstick to determine whether a casino is reputable or not. We strictly advise players not to wager at sites that have not been certified by the mentioned organizations. Software Provider: There are a host of gaming software providers. I’m not going to mention every single one just the important ones. Top of our list is Microgaming followed by Net Entertainment, Playtech, Realtime Gaming (RTG), Betsoft, WagerWorks and Cryptologic. These software providers not only afford players reliable and steady game play but their graphics and animations are good and easy on the eye. The software providers some operators use are blurry, tend to stall and lack continues gameplay-avoid these. The wagering requirements for the sign up bonus: Unfortunately most players don’t read the terms and the conditions of the bonus. More often than not this leaves many a player angry and disgruntled. There are various sign up bonuses (match bonuses) that range from 50%, 100%, 200% to even 400%. What is the purpose of a sign up bonus? The purpose of the sign up bonus is not only to boost your bankroll but also to try and get you to wager more. Let’s have a look at the most common sign up bonus of 100%. If the casino has a 100% match bonus up to $100 free on offer it simply means that it will match your first deposit by 100%. If you deposit $100 the casino will match your $100 with an extra $100. Your bankroll just shot up to $200. This is where the trick comes in. Any amount of “free money” has a set of wagering requirements attached to it. The wagering requirements of 20xd+b (20x$100+$100=$4,000) embedded in the casinos’ terms and conditions must be completed first before any winnings could be cashed out. There are different sets of wagering requirements attached to the sign up bonus. Some are 20xd+b, 30xb and even as high as 40xd+b. The casino also stipulates that the sign up bonus can only be used to wager on certain games like slots, keno and scratch cards. The reason for this is that these games have a higher house edge as opposed to table games like baccarat or blackjack that have lower house edges. If you don’t want the free bonus, contact the casino before registering an account. Avoid sites that have excessive bonus wagering requirements. Promotions: Does the operator offer comps on selected games. In other words once you’ve accrued a certain amount of comps can you exchange it for cash. Normally 100 comps equals $1. 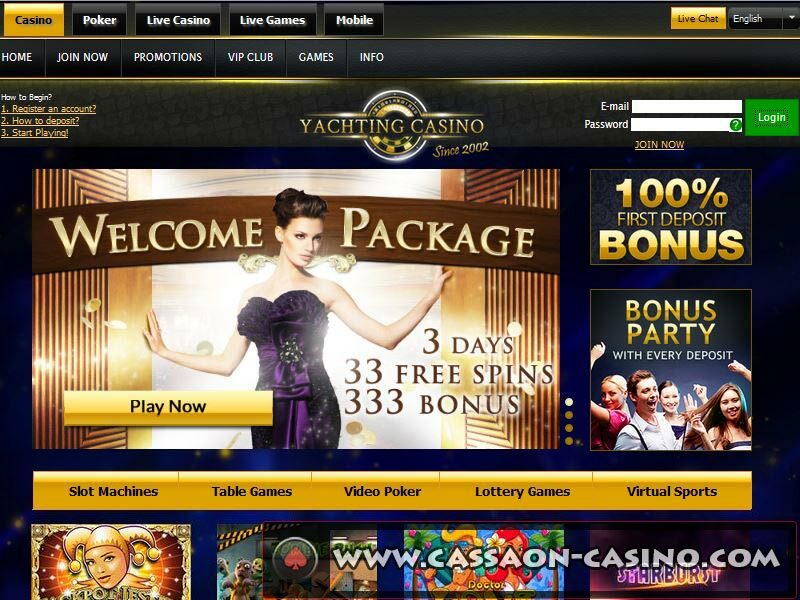 Does it also offer a VIP program that rewards players based on the amount of cash wagered? Most VIP programs are tiered and offer various incentives such as faster payouts, bonuses with low playthrough, birthday gifts, special cash prizes and so forth. Casino Forums: This is arguably the quickest way to get valuable information about a specific site. 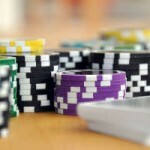 When players or even affiliates have problems with an online casino they often approach forums to warn other players/affiliates and to request help in the event of a payment dispute. The following forum that comes highly recommended by us is GPWA (Gambling Portal Webmasters Association). Many casino representatives are active at this forum and will help settle disputes where possible. Self-exclusion option: The majority of sites the reputable ones at least have stern policies in place especially when it comes to problem gamblers and underage gambling. They’re compelled by the gambling jurisdictions they operate in to include certain features in their promotional packages-one of these is self-exclusion. If a player has a history of problem gambling he/she can contact the casino’s customer support to request a ”cooling off” period. Age: Sites that have been in operation for many years have a proven track record are financially stable. We’re not saying that our list of criteria is foolproof and that only older casinos are 100% safe. But it will make your gambling exploits a bit easier and safer. Like any business organization, online casinos survives on profit. Before signing up at a site read the terms and conditions first.